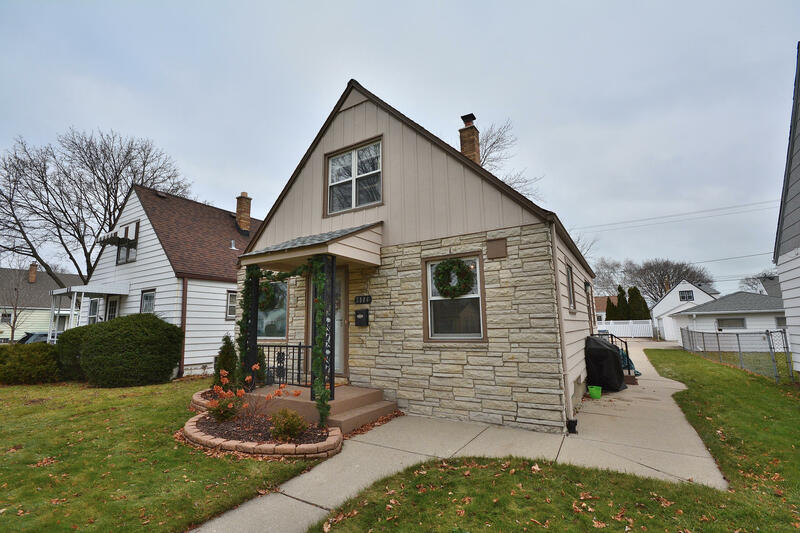 Great 3-bedroom cape cod with many updates. The main level features a front entry into the bright living room with beautiful hardwood floors & ceiling fan, eat-in kitchen with newer cabinets and counter tops (appliances included), remodeled full bath, plus a bedroom that could double as an office. Upstairs are the two larger bedrooms, both with HWFs. Spacious 2-car garage, backyard with patio, and only one block from the many recreational opportunities at Wilson Park. Updates within the past 10 years include roof, windows, furnace, A/C, bathroom & kitchen remodel, and refinished HWFs.